Mornings on Masai Mara, the East African savannah, begin as the sunrise spills golden light across the bush. 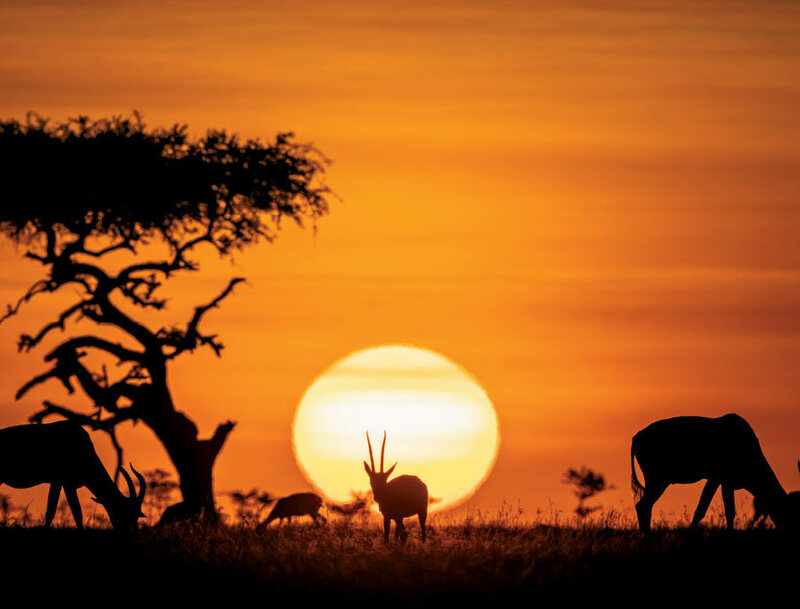 The brightening sky is accompanied by a symphony of sounds from Africa’s iconic large animals—elephants, lions, leopards, rhinos, and buffaloes. Preservation of this earthly paradise is one of the goals of Basecamp Explorer (Basecamp). Founded in 1998 by Svein Wilhelmsen, Basecamp is a shining example of the marriage between luxury travel and responsible tourism. 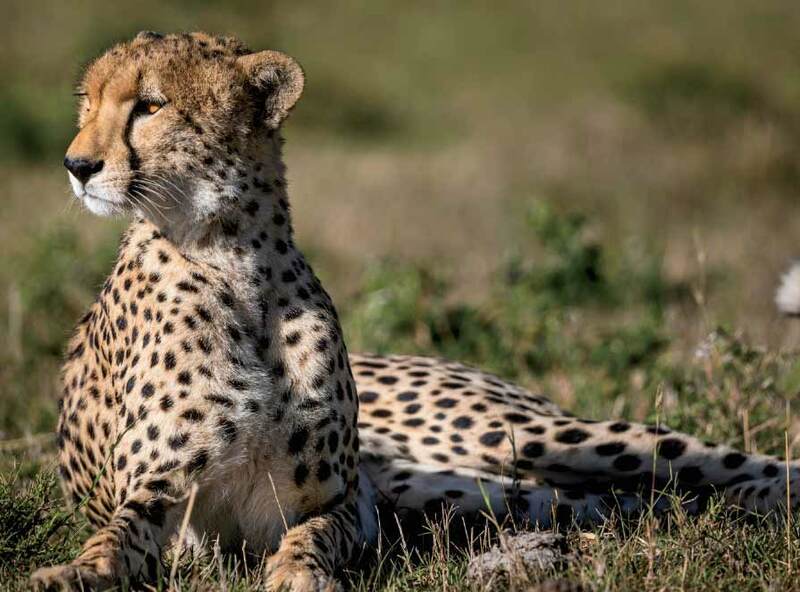 In Kenya, the company partners with the people of the Masai Mara, the Maasai, to preserve their socio-cultural heritage and save the region’s wildlife through responsible tourism. Basecamp provides an up-close experience with the world’s highest density of wild animals via five safari camps hosted by the Maasai people. Our Basecamp journey began at Leopard Hill, the newest and most luxe of the properties. The tent’s architecture is inspired by round Maasai houses called Manyattas. The walls and roof roll back leaving only a net to separate you from the highway of stars, the vibrant morning sun, and the sprawling landscape. The rooms blend magnificence and rustic comfort. Each morning we woke to the African sun bathing giant fig trees in an impressive light. Dozens of slumbering baboons awoke with the sun’s approach and chased each other playfully. 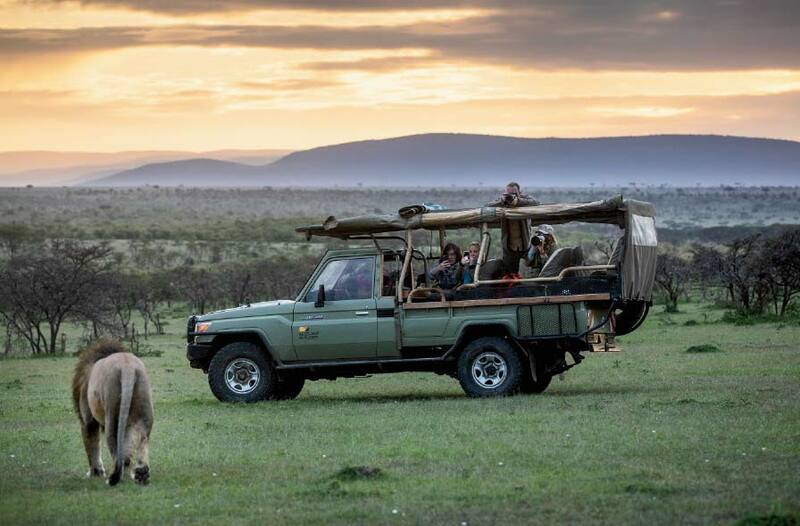 Following a breakfast of eggs, sausage, fried potatoes, and fruit—savored as monkeys danced in the field—we headed off on a morning game drive with our Maasai guide in a sturdy, open-air Land Rover. As the sun kissed our shoulders and the wind blew our hair, sightings of lions, cheetahs, wildebeests, warthogs, giraffes, zebras, and gazelles provided endless entertainment. In January, the Masai Mara brims with infant animals. Frolicking cubs and foals and nursing calves made for enchanting sights. At sunset, we met for a celebratory happy hour aptly named the “Bush Sundowner.” Watching the sky explode with color and the hills turn ruby red with cocktails in hand was a lovely culmination to a glorious day. Following the Bush Sundowner, dinners were enjoyed either at the camps or in the bush and were accompanied by lively, traditional Maasai performances. As song and laughter filled the fire-lit evening, a sense of camaraderie grew between the audience and the colorfully attired performers. Departing Leopard Hill, we visited another basecamp dubbed Eagle View for its splendid views of the Masai Mara and its many creatures. Perched just above a watering hole and salt lick, the Eagle View’s veranda provided great insight into the animals’ daily routines. 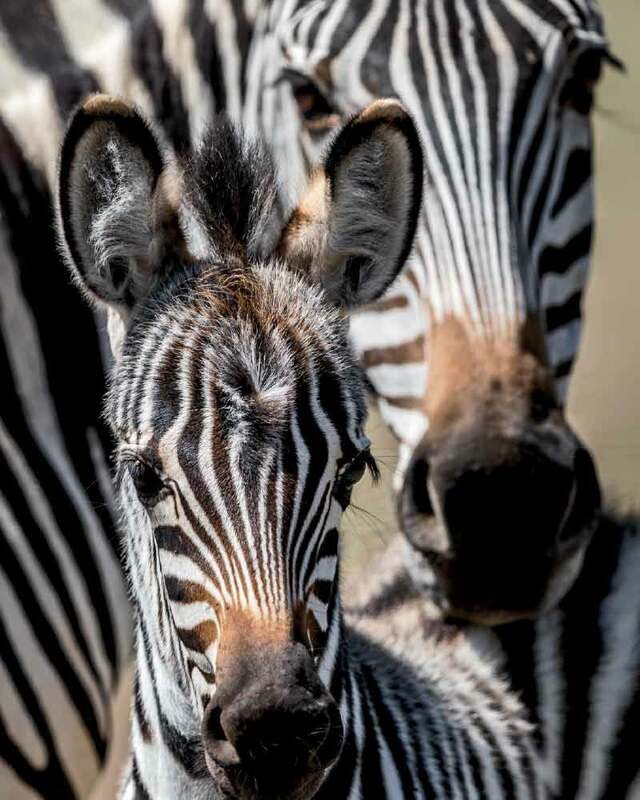 Zebras favored early morning visits to the watering hole while hippos preferred evening dips. Eagle View’s tents are beautiful and, like Leopard Hill, offer both indoor and outdoor showers. If you choose an outdoor shower, you may catch a glimpse of prancing zebras, swinging baboons, or strutting giraffes. The tent is surrounded by trees thick enough to discourage the gaze of outsiders (humans that is) but not the gentle breezes of the Masai Mara. Our third camp was the Dorobo Mobile Camp nestled deep in the bush. Dinner was served around a roaring campfire and as a thousand stars bid us adieu, it was off to sleep in a cozy tent—room only for two blow-up mattresses capped with sumptuous blankets. After nightfall, guests are forbidden from leaving the tent without the assistance of a Maasai Warrior—a precaution from unwanted evening encounters with curious wildlife. The watchful gaze of lionesses from the hillside welcomed us to a new day. Following fireside coffees, we ventured out into the bush accompanied by our Maasai guide and five Maasai Warriors for a walking safari back to Eagle View. Along the way, we learned intimate details about the animals as the bush sprawled in all directions around us. 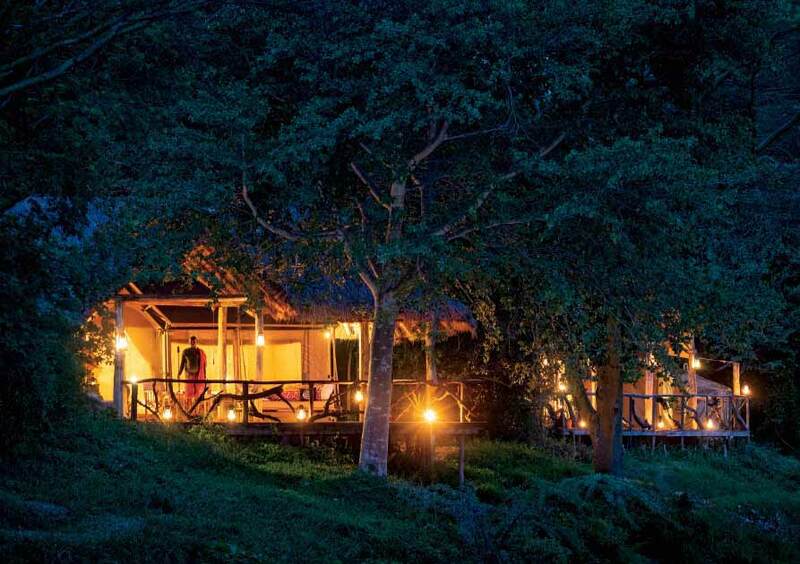 One day we visited Basecamps’s very first camp, the Basecamp Masai Mara, situated along the Talek River in a tropical forest where guests co-exist with monkeys and birds. 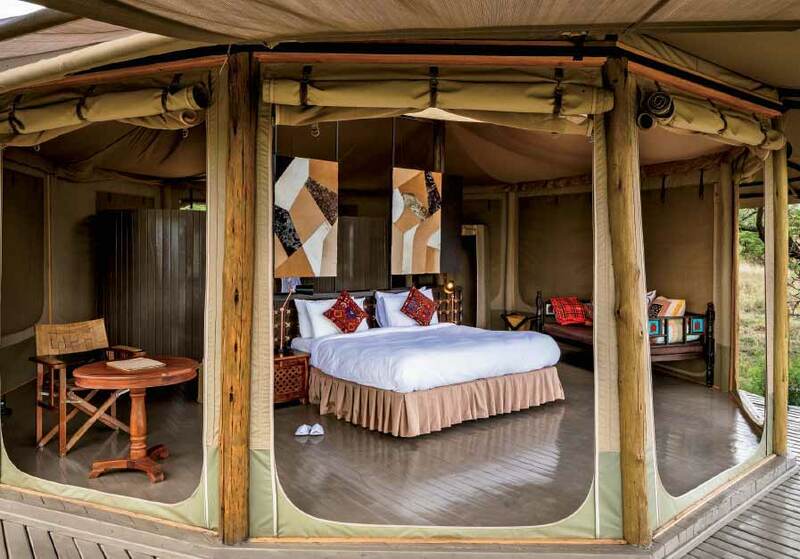 All tents offer a private deck with panoramic views of the river and Masai Mara National Reserve. President Obama and his family enjoyed this camp when they planted trees as part of the camp’s reforestation project. This project invites guests to plant trees and learn about restoring biodiversity from the resident Maasai team. The project, which has seen more than 100,000 trees planted, has improved the natural environment and encouraged the return of a wealth of birdlife. Our last basecamp visit was to Wilderness Camp, Basecamp’s nostalgic tribute to the safaris of the early explorers and safari pioneers. This camp is free from artificial luxury and modern disturbances. 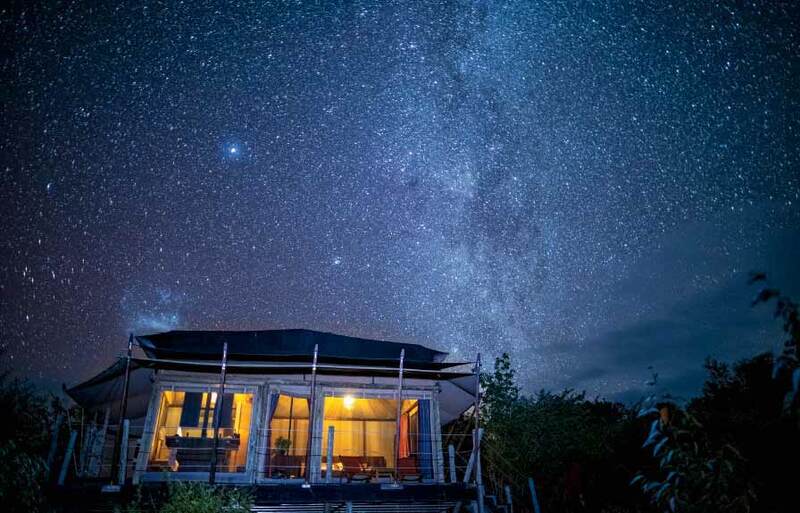 Tucked deep inside the Saddle Valley, it is just you, the Maasai, the wildlife, and the stars. than ourselves—part of something that would positively impact Africa’s future. As we walked to our tiny Safarilink bush plane preparing for the return trip to Nairobi, my daughter grasped my hand and said “I know this sounds a bit cliché, but this trip was truly life altering.” Before our visit, we had heard tales of Africa’s magical hold on the souls of all who visit her. With our feet planted firmly on Kenyan soil, we realized that we too understood that magic and understood it intimately. 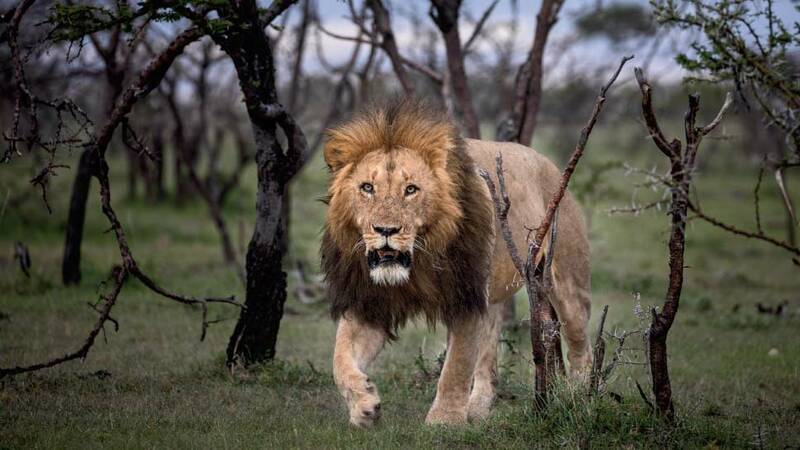 As the plane roared down the runway and with our Maasai guides Big Moses, Sampson, and Nash waving goodbye, we looked back at the rolling Masai Mara dotted with Land Rovers, wildebeests, and giraffes and knew this trip was only the first of many to come. Fly Kenyan Airways and if possible, select business class where you can enjoy delicious meals and recline fully on a comfortable bed for the 13-hour flight from New York to Nairobi. 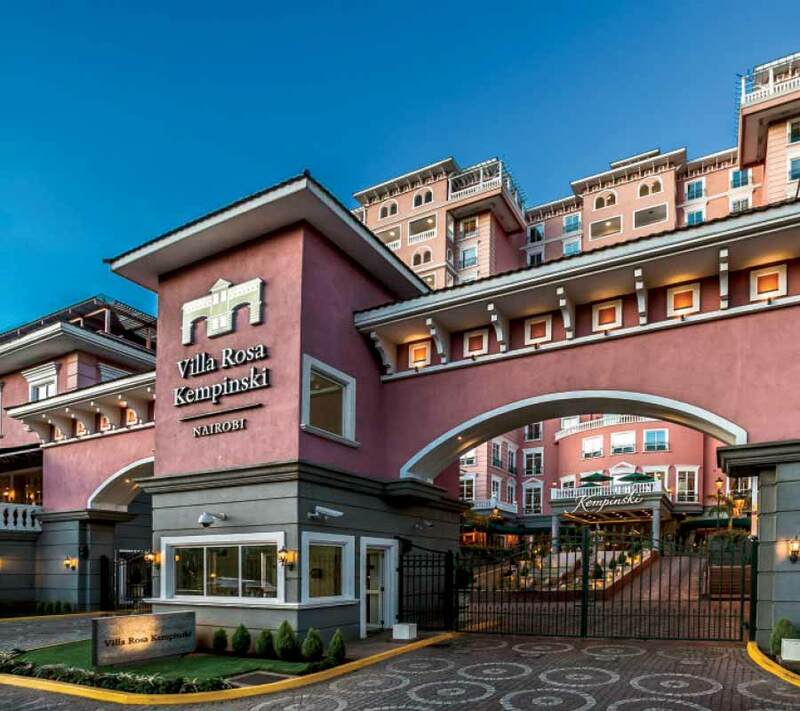 Upon arrival, check into Nairobi’s Villa Rosa Kempinski—a perfect refuge to recharge. The Junior Presidential Suite offers plenty of room to stretch your legs while offering sweeping views of the city. Villa Rosa Kempinski is an Obama favorite and has hosted over 40 presidents—it goes without saying, the service is first class. For more information, to book a stay, or to donate, visit basecampexplorer.com. For more information about Kenyan Airways, visit kenyan-airways.com. For more information about Villa Rosa Kempinski, visit Kempinski.com.